Nearly 80 artists from throughout the Midwest, Light the Earth will gather for Bayfield’s annual Festival of Arts and Gallery Tour. This juried arts & crafts show is held on the scenic shores of Lake Superior in downtown Bayfield. Visitors will find a unique selection of pottery, painting, jewelry, sculpture, glass works, wood carvings, photography and more. 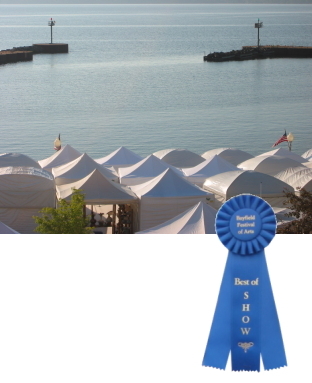 Take special notice of the blue "Best in Show" ribbons which are awarded to five artists while browsing. 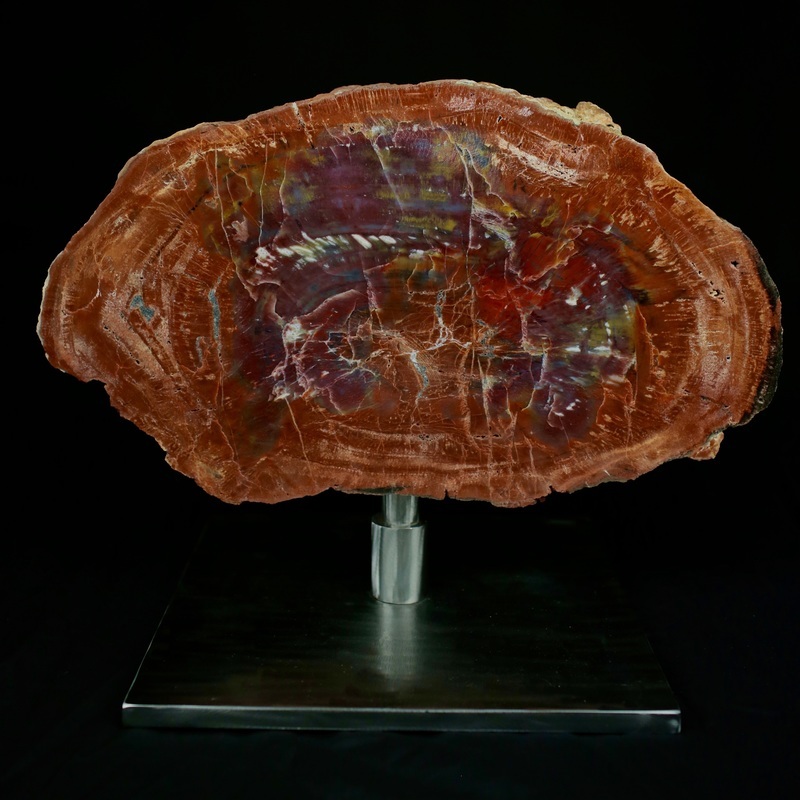 Bayfield artists will welcome visitors to their studios and galleries throughout the weekend, with open houses, demonstrations, and special sales as part of a gallery tour held in conjunction with the festival in the park. All events are free and open to the public. at the Mitchell Park Domes, Milwaukee, Wisconsin. 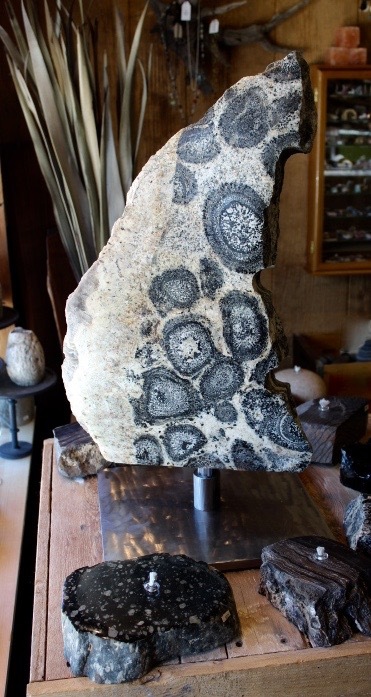 Orbicular Granite - just arrived in the shop! 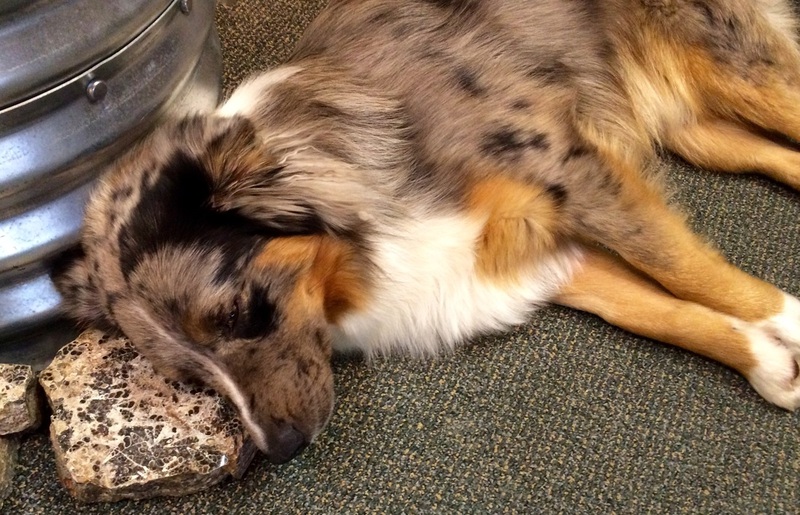 Bandit's visiting me at the shop for a while today... notice his pillow! It's a rock! Actually it's a turritella oil lamp - this fossil came from Wyoming. Join us in Historic Valley Junction for an evening of art! Friday, April 8th is Historic Valley Junction’s Spring Gallery Night. 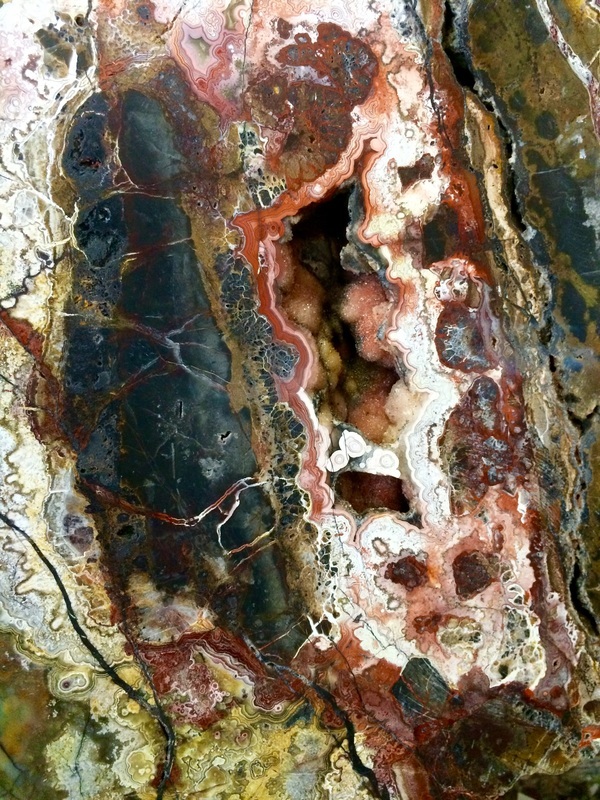 Stop by Light the Earth along with many galleries Friday evening from 5 to 9 p.m. This event is free and open to the public. In addition to the galleries, many other Valley Junction shops and restaurants are open extended hours for the event. In its 21st year, Gallery Night continues to grow as a popular community event. It is one of the largest merchant events in Historic Valley Junction and a terrific opportunity to rediscover this eclectic and lively shopping district. 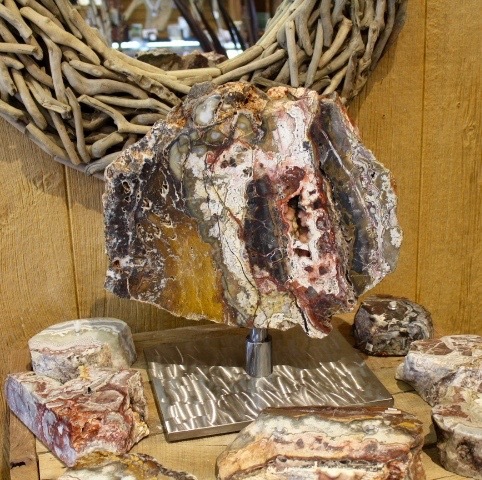 The galleries of Historic Valley Junction offer original artwork, custom jewelry, ceramics, glass, furniture, folk art, and fine art reproductions, as well as many other one-of-a-kind objects. 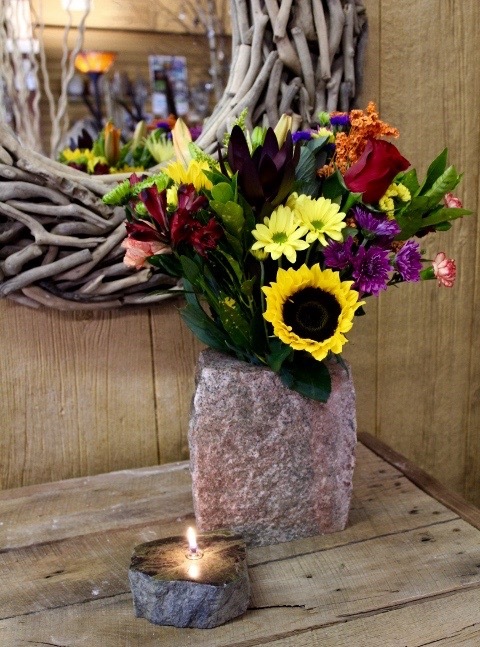 Gallery Night supports many locally owned businesses and showcases the community of Historic Valley Junction. Historic Valley Junction is six square blocks of antique and specialty shops, art and craft galleries, fashion boutiques, hair salons, service businesses, and restaurants.